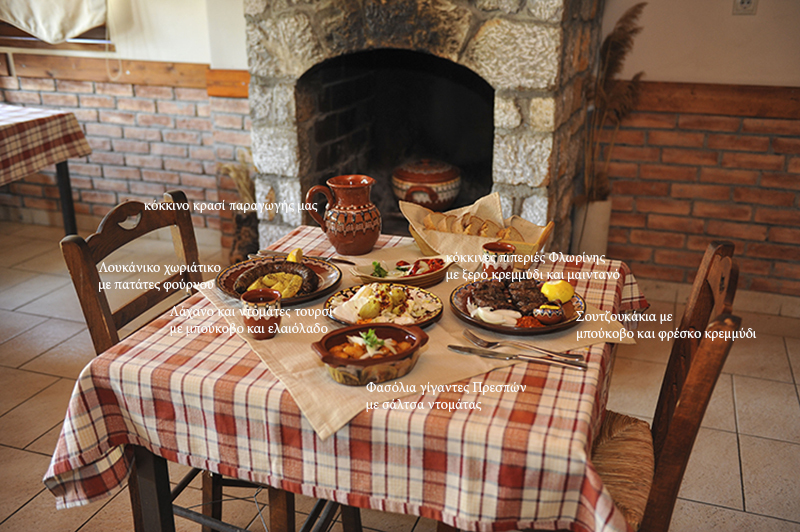 In one of the most beautiful landscapes of Greece, the astonishing Prespes Lakes at Florina Prefecture, in the small village of "Psarades" we builded our tavern 'Η Συντροφιά' . We would be very pleased on your visit for tasting local delicious recipies and home made sirup based sweets. Where ever you are travelling from, here ( ) you will find all the necessary information for your pleasant stay at our guesthouse. Our tavern first served in 1988 by our parents, Lazaros and Georgia Christianopoulou at ground level in the same building that serves as our Guesthouse by the same name "Η Συντροφιά". 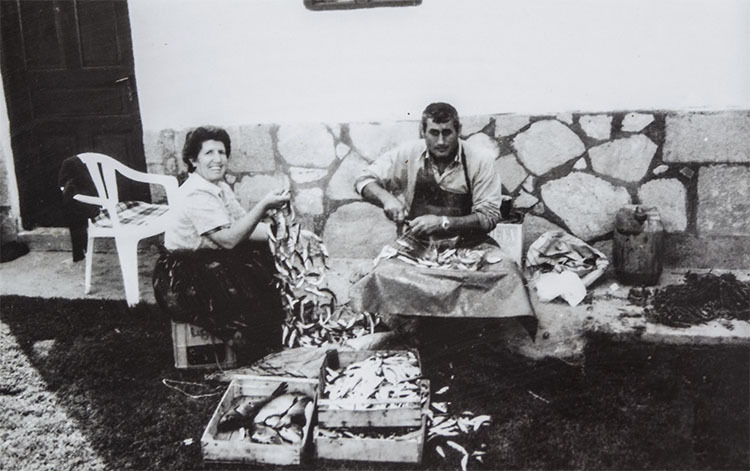 since 2005, their children,we - Eleni, Christina and Germanos - took over with the same love and devotion as our parents did.Total renovation took place in 2007. 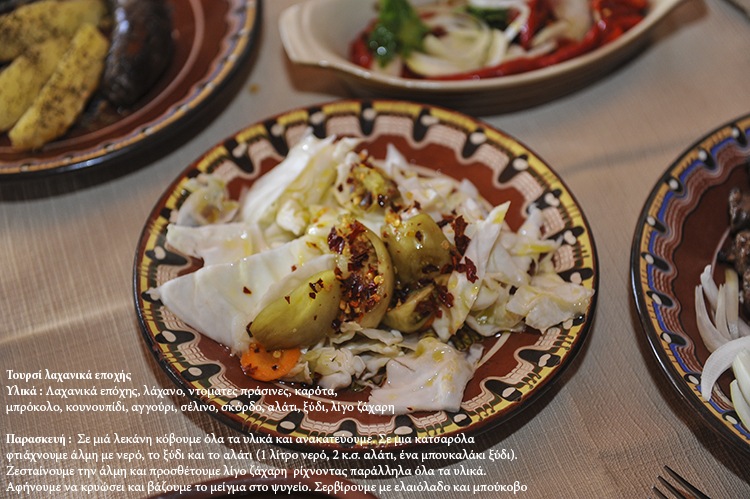 We constantly enrich our menu by use of local traditional recipies and local materials and always preserve the same hiqh quality cooking as we think as customers and cook as we were so. 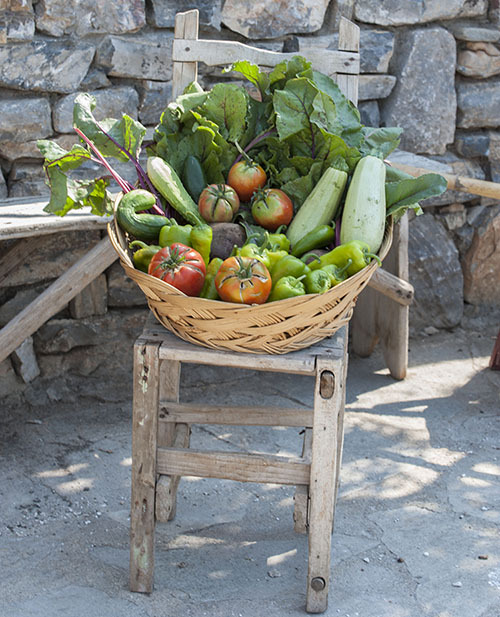 By use of best chosen local vegetables, fish and meat, we prepare best meals for you keeping the local cooking traditions of Prespes Lakes. 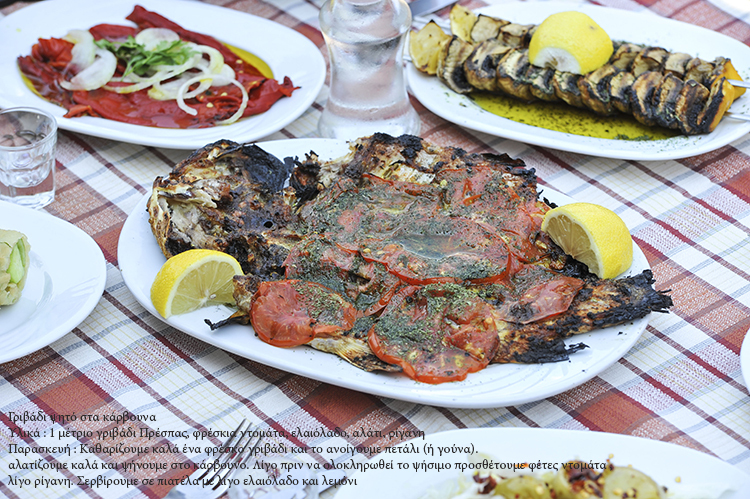 You may for example taste grilled carp, sauce filled escargots, smoked pork meat in the winter, small chops of pork meat fried with sauce, onions and mushrooms, sun dried tsironia fish in tomato sauce (small fish of Prespa Lake same as anchovies), red sweet pepper filled with vegetables, grilled sweet red florina pepper, home made toursi, red florina pepper pasta (red florina pepper mushed with tomato and garlic), grilled mushrooms suvlaki and a lot of green salads from locally produced vegetables many of which are grown in our own garden, allways accompanied by our own distilled tsipouro . 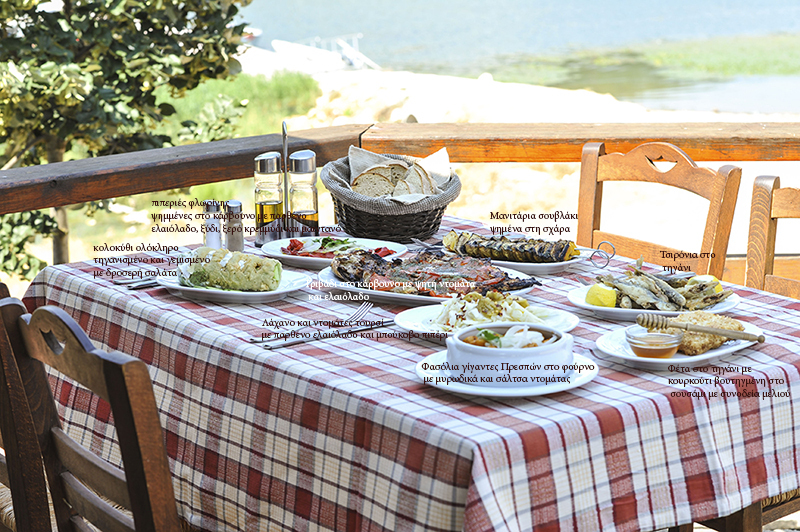 You can view here a summer menu sample foto. When winter arrives, the fireplace lights up and the menu is served indoors accompanied by our home made red wine. customers ar urged to inform us if they prefer to taste something more of specialty so to prepare it for them apart from our standard menu. Copyright © 2012 - 2013 "Η Συντροφιά"